After my previous Dragon Cake, my oldest son decided HE wanted a dragon cake as well. I looked through all sorts of design books and one day my son came up to me with a design by Debbie Brown in her Magical Cakes book. 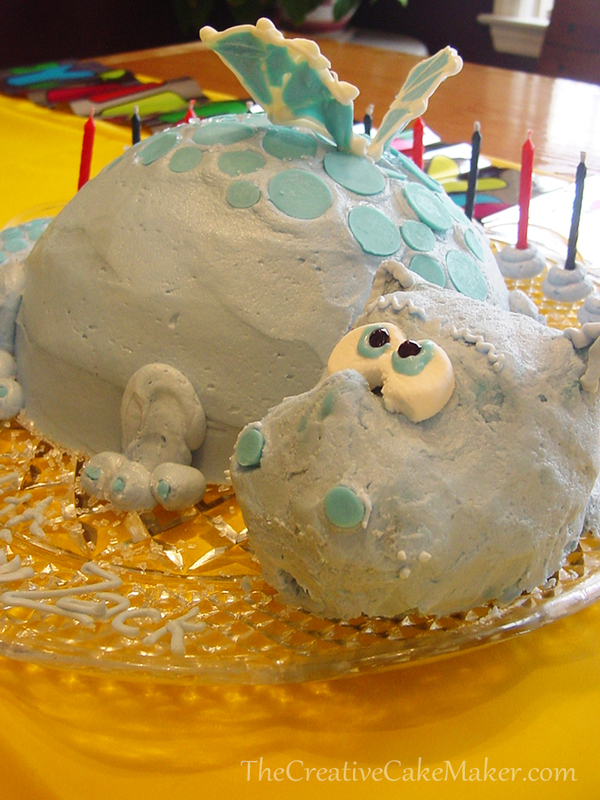 That was the inspiration for this baby dragon cake. The main difference between the two is the lack (actually a complete absence) of fondant (sugarpaste) in my cake, but you can definately see the similarities. This cake was made with a box of cake mix, buttercream icing, Wilton Candy Melts, Candy Clay, a marshmallow (large) and some black gel decorator's icing. The marshmallow was trimmed down a bit, so what you see as the eyes is really one piece of marshmallow. My son wanted his dragon to be blue, so I colored it with a cornflower blue gel. Oh my gosh. I recently found your site, and I have to say, I am amazed! All your cakes are so unique and creative. I think the XBOX Controller is the best. I hope, someday when I get the funds, to be able to make and decorate cakes like you can. The great thing about these cakes is you don't need extra funds. Just grab some cake mix and icing and have some fun with it! Thanks for the comment! 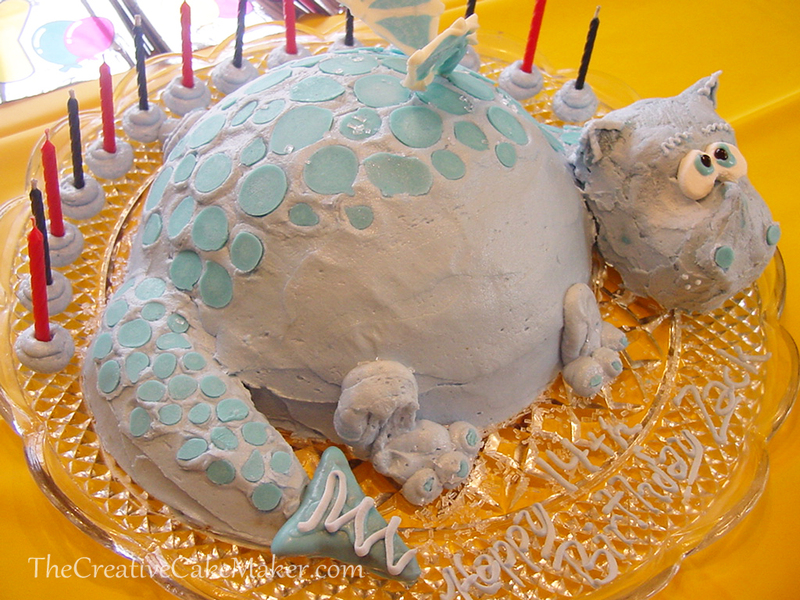 I would love to make this cake for my son's 3rd birthday. Can you post instructions please? Why is it I can only see part of the article? It ended with "My son wanted his dragon to be blue, so I colored it with a cornflower blue gel. Sorry about that. I have not been able to write out the instructions for this one yet. It makes it harder still because I don't have step-by-step photos of the process.